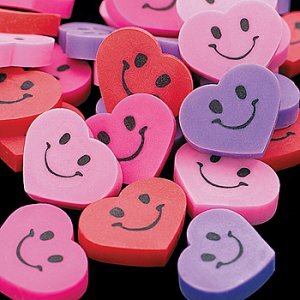 Bargain Pack of 48 Smile Heart Rubbers. Loads of smiling rubbers - an essential for Sunday Schools, Church Groups and schools. Rubbers measure approximately 20mm and come in pink, red and purple.